A popular revolver with police forces – but not as good against dinosaurs. Fires surprisingly fast, however, so it can be good at closer ranges. Made famous by games such as “Tomb Raider” and movies such as “The Matrix”, this big-bore semi-automatic handgun is common on the island, and very useful. The famous Russian assault rifle, known for simplicity and reliability – which also makes it popular with terrorists, insurgent groups, and gangsters. It is not very accurate, but useful overall. It comes with two clip sizes – a regular “banana” which holds 40 rounds, and a “drum” which holds 100 rounds. A high-powered sniper rifle that fires a high-velocity .50 caliber cartridge. It is popular with police and military special forces because it is accurate to ranges of 1.5 miles. An automatic pistol that is very inaccurate, but fires in quick bursts. It will empty its 20-round magazines very quickly. Just a regular baseball bat. Available in two versions, metal and wood. A semi-automatic 12 gauge shotgun that is commonly used by police SWAT teams as an entry weapon. It is good for close-range combat. A powerful .50 caliber machine gun, widely used by the U.S. Army and other militaries around the world. It fires the same rounds as the Barret, but it isn’t very accurate at long range. Very useful against the T-Rex. A light submachine gun that is inaccurate and not terribly powerful, but it makes up for these disadvantages with its high-capacity 100-round magazine and its rapid rate of fire. This snub-nose .38, found in the master bedroom. It may be small, but it packs a surprising punch – try it and you’ll be amazed at what you see. A very accurate, but slow-firing high-powered rifle with a 10-round clip. If you can master this weapon, you’ll have the all-around best rifle in the game. A compact little handgun that isn’t terribly useful, but it does fire somewhat fast and accurately. Known as the first polymer pistol ever. The standard service rifle of the Bundeswehr (German Army), it fires fast and powerfully, though it isn’t terribly accurate. Recoil is not bad. A machine pistol version of the famous MP5 submachine gun, weapon of choice for counter-terrorist teams all around the world. Has a good rate of fire and accuracy, but does little damage. Comes both with and without a silencer. Service rifle of the U.S. Army in the 1960s (before introduction of the M16), this fast-firing rifle is almost a fully automatic version of the hunting rifle. It does a similar amount of damage and accuracy, so it is a good weapon to be carrying if you find it. A very fast-firing machine pistol that does plenty of damageat close range, but it is horribly inaccurate and is best fired only in short bursts if it is to be used effectively. Popular with criminals due to small size and light weight. Nedry’s medieval mace can only be found in his office. 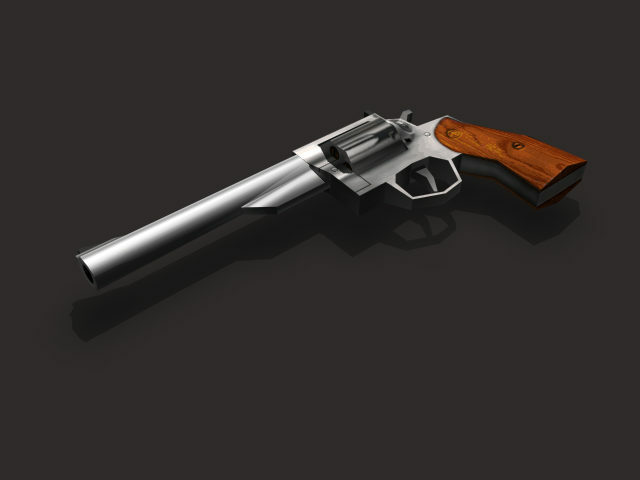 A very accurate and fairly powerful hunting revolver designed to take down thin-skinned game. 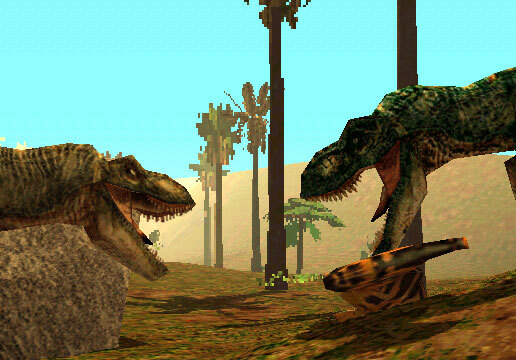 Not a bad choice against smaller dinosaurs, but not as good as the Desert Eagle. Another favorite shotgun for police SWAT teams. It does the same damage as the Benelli M1 and has a great capacity, but recoil is a bit worse. Useful at close range against Raptors. The famous handgun used in the JP movies. The tranquilizer rifle from the movies. Available in two versions, one with toxic arrows, one with regular ones. Early version of these rifles had the back grip and can only be found in the two Test Scene levels. The famous tazor from “The Lost World”. Similar to the Dino Prod. Same strength and all, but more handy… This can only be found in the basement of the Town level. A sledgehammer, which can be found laying around in several levels. Standard service sidearm of the U.S. Army for 75 years, this dependable semi-automatic pistol does moderate damage and has moderate clip size, but it is very accurate and has little recoil. This one can only be found in the basement of Jungle Road, and is one of the only guns found in early Trespasser versions. The weapons listed in this section are guns that were cut at some point during development. These can either be found in early versions of the game, or in their original 3ds Max files. The .454 Casull is manufactured by Freedom Arms, founded in 1978. The .454 Casull was first produced in 1983, and have since then have several different models. It is still in production today as Model 83. The development of the Coonan .357 Magnum started in 1977 by Dan Coonan. In the early 1990’s, a cut-down model with shortened barrel and grip was introduced. Introduced in the U.S. military in 1964 and by 1969 it became the standard rifle for the U.S. military. Still in used today by many different countries. Famous gun and used by military all over the world. A different version from the orginial Walther PP used by German in World War II. The gun is a semi-automatic pistol. Can be seen used by actors in several movies, exampel Lethal Weapon and CSI. Flintlock Pistol was used for several centuries. You often see them in pirates movies. Flintlock Rifle was used for several centuries. A semi-auto gun used by many bad guys in movies. The Smith & Wesson M76, is a submachine gun made between 1967 and 1974. Double-barreled shotgun is famous to be used by hunters around the world. A second version of Hammond’s Revolver. The early versions of the Ingram MAC10, with a grip. It also had a silencer version. Drum version of the H&K 91. This can be found in Alpha/Beta versions of the game. Famous baton used by many police officers around the world. This can be found in Alpha/Beta versions of the game. Even tho the ruins in the game is from the Maya civilization, this beautiful knife comes from the Aztec/Mixtec civilization. The handle is carved in wood and covered with mosaic of turquoise, shell and malachite. The blade is made of chalcedony. The knife was made breakable. It’s unknown why they made a Aztec/Mextec knife for the game, or its intention. Man, there were a lot of weapons cut from the game. It’d be amazing if there was either a map pack, or a mod, that readded them.